Short but fierce, Rosie Cusswell has more muscles than most of the ship’s crew, and a fouler mouth than all of them put together. Only the Wormwood’s Riaris Krine can out-swear her. Rosie is from Port Peril, and was impressed onto the Wormwood’s crew three days before the PCs. 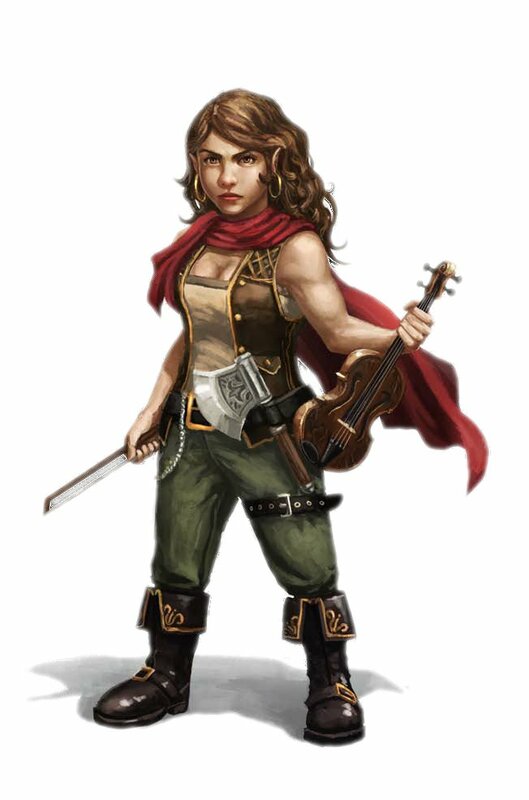 After making an impression by threatening to chop off the hand of anyone who messed with her, she got off on the wrong foot with Cut-Throat Grok, who refused to return her beloved fiddle. Feruzi’s intervention won the Mwangi woman Rosie’s firm friendship; she later befriended all the PCs when they rescued her from the sea after falling overboard during a mighty storm. Following the successful mutiny against Mr. Plugg, Rosie is now a free member of the crew. Like many halflings, Rosie loves food, drink, and tall tales. She gets along with everyone on board the Man’s Promise (though she seems to loathe the romantic attention of Conchobar Shortstone), and believes herself to be the glue that holds the crew together. During Combat Rosie likes to tumble through fights to gain the advantage. She is fearless and fierce in battle unless alone, in which case she fights from a position of strength and safety. 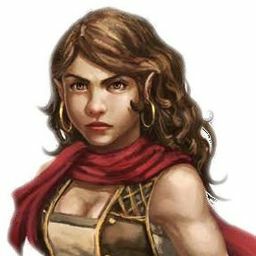 Morale Rosie withdraws from combat if reduced to fewer than 5 hit points. If cornered, she fights to the death.